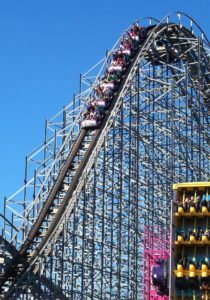 Six Flags New Orleans, which opened in 2000 as Jazzland, has stood dormant ever since Hurricane Katrina devastated New Orleans and the Gulf Coast region in late August of 2005. 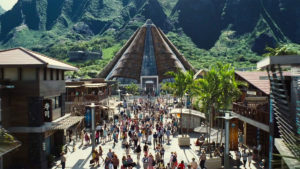 The decaying park has experienced a second life as a film set for a variety of Hollywood movies, including Jurassic World. 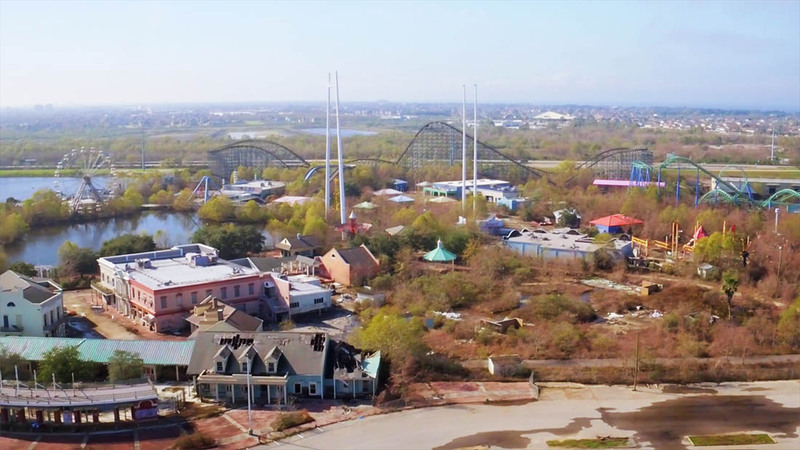 But over the last several years, businesswoman and developer Tonya Pope and The Paidia Company have been working tirelessly to bring the park back to life as Jazzland. 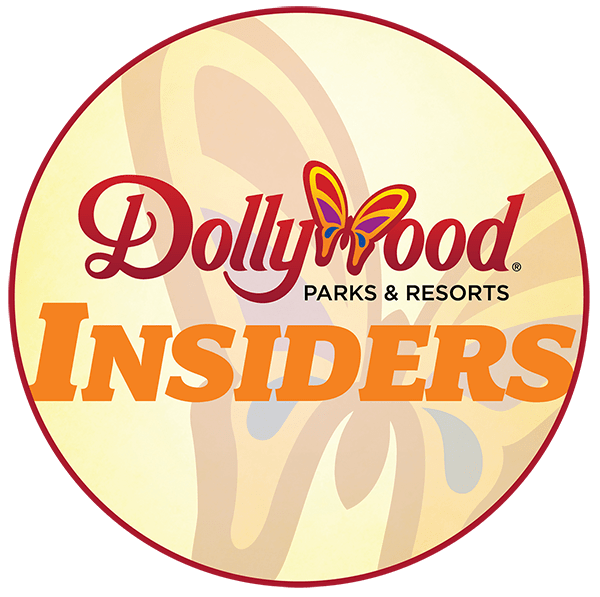 I recently had the opportunity to ask Tonya some questions about her background, the amusement park, the Paidia Company and where they stand today. C101: First, tell me a little bit about yourself and your background. How did you become involved with the effort to reopen Jazzland? 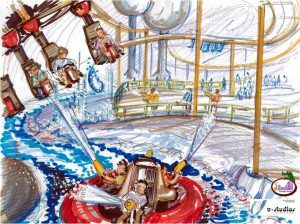 TP: According to my parents, I started telling people as soon as I could talk that I wanted to design rides for Disney. The animatronics fascinated me enough that I begged every year to build a robot for my science fair project. The closest I came was a solar powered model airplane. As an incoming freshman at Louisiana State University, the dean of engineering asked what I wanted to do. I again said “design rides for Disney.” He wasn’t quite sure where to point me. I ended up graduating with a degree in electrical and computer engineering and almost landed my dream job. My resume had ended up in the wrong pile since I hadn’t quite graduated yet when I sent it in and got a call from the mouse offering me an internship. Grown-up responsibilities prevented me from taking the offer, but I ended up with another pretty cool job working for Lockheed Engineering & Sciences at NASA’s Johnson Space Center. I worked in the simulation department where we had the space station cupola and orbiter’s aft cockpit. Specifically, the simulators had the space station and orbiter’s robotic arms…so I was working with robots. It was computer programming, but you had to understand the engineering and physics to be able to code the simulations realistically. As cool as it was, it wasn’t my dream job. I left there to pursue creative opportunities. I worked with advertising companies to create interactive online games that featured the various companies and products. This led to creating interactive kiosks for a couple zoos and museums, which have pretty much jointed the themed entertainment industry. Dot-com bust happened, which meant programmers were a dime a dozen. I figured if I was going to be out of work, I’d rather be out of work in the industry I loved. 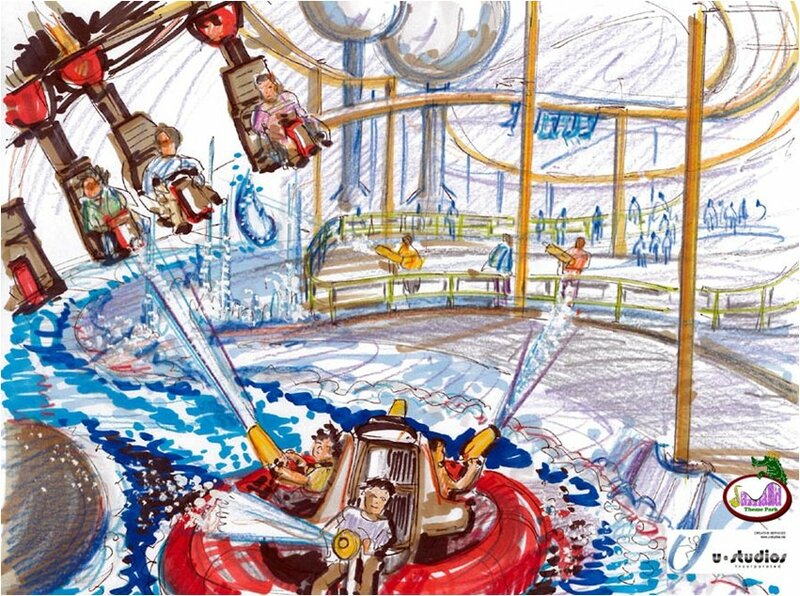 I met a few former Disney Imagineers and Universal Creatives and we started doing ride design work. Nothing ever got built, but there are lots of folks in the industry that have resumes full of projects that never got built. Most of what I have done has been site identification for new projects, working with brands in how their IPs (intellectual properties) can best be transformed into attractions and on re-imagining existing venues. As I am based in Louisiana, early on people asked me why I didn’t do something here. 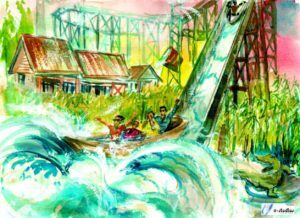 In the beginning, Six Flags New Orleans and Astroworld were both open, so the response was easy. Market was already taken. After those two parks closed, the question came up again and it was harder to answer. The New Orleans site is great and is in one of the few markets left in the U.S. that doesn’t have a regional park. Because of the existing infrastructure, the capitalization costs are low enough that it makes financial sense and is a low-risk investment. From a business perspective, all the numbers make sense. As I was still doing consulting work for one of the big guys, I also had the luxury of time to deal with the politics. C101: Can you bring us up to speed on the latest “Bring Back Jazzland” developments? Any progress as of late? The latest headlines are a bit misleading. The new mayor took office a little over a month ago. At last week’s Industrial Development Board (IDB, legal owners of property) agreed to have the board president sign another 1-year cooperative endeavor agreement with the Mayor’s office so that they would take lead on figuring out what to do with it. That doesn’t mean her office will actually take a year, it just puts the ball in her court legally. Unofficially, the board has always said that they own it “at the pleasure of” the mayor, meaning they do whatever the mayor at the time tells them to do. We have reason to believe that movement will happen sooner rather than later. 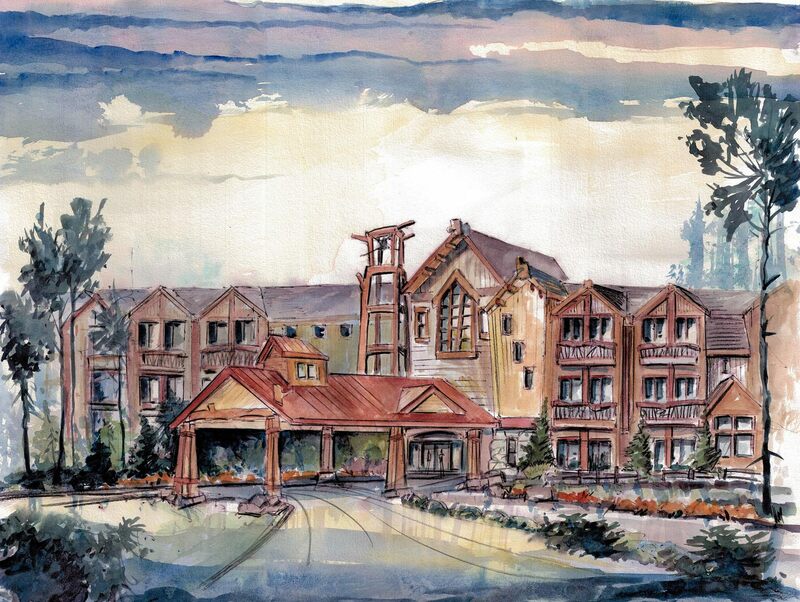 We have also been working to secure nearby property to enlarge the overall resort project. C101: There have of course been several attempts to reopen the park in the years following Hurricane Katrina. Why do you think Paidia will be the one to accomplish this? At the risk of earning my reputation of being arrogant, we have the only plan that is feasible and realistic. There were very definitive reasons why every other proposal or attempt in the past wasn’t the best idea. With Nickelodeon, the idea was on the mark, but there was a lot of politics going on behind the scenes that prevented it from happening. For the outlet mall, that in itself could have worked in the area, but it couldn’t work by itself, and the park site was not the best site for it. 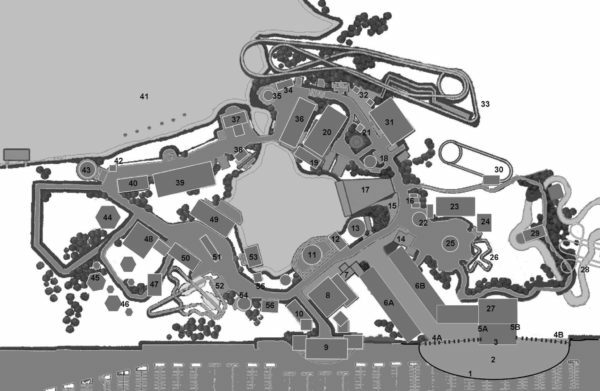 The other proposals for a park of some sort that have come and gone during our ride? All thinking too small, or without enough realistic planning, or just completely bonkers. I know that sounds weird to anyone that lives in a metropolitan area where it takes an hour to get anywhere, but for a lot of folks in New Orleans, anything more than 10 minutes away is “far.” A small amusement park simply will not attract the attendance necessary to survive. Just retail won’t work. Sure, if you get a destination big box, that one store would do okay, but there are nearby corners that have much better interstate frontage and where it would be cheaper to build. Smaller scale retail, like what we have planned for our mixed-use venue, needs drive-by traffic to make it. Just a hotel won’t work. A one-star (hotel) would do okay, but a resort type? It wouldn’t attract any new tourists to the area but might make it by pulling existing tourists out of other hotels in the area. Still, it would have to offer them a pretty good reason. And again, there are nearby corners that have much better interstate frontage and where it would be cheaper to build. This particular option we know the city entertained last year. Might just be my arrogance again, but why spend $8-10 million of taxpayer money to tear everything down when there is vacant land nearby? This mass is what makes it feasible. It is a big plan, but that is also why we have partnered with established developers for portions of the project. It isn’t all on our shoulders, which makes it realistic. Our plan isn’t just a theme park. 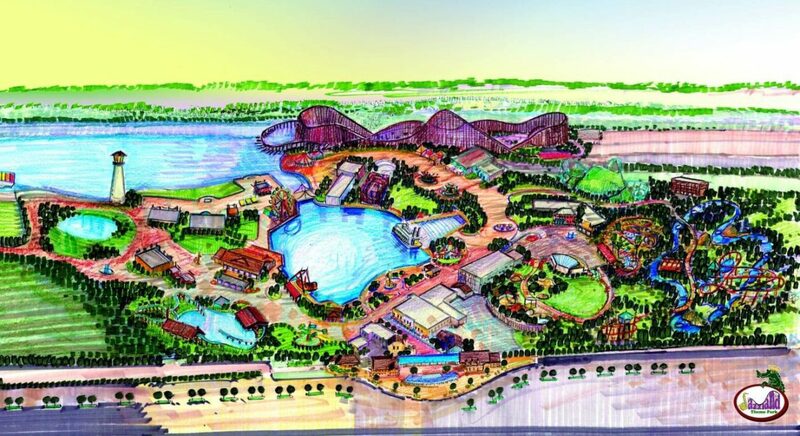 It’s a theme park, water park, mixed-use retail, dining, entertainment and resort hotel. C101: Can you tell us any specifics about the condition of the rides and infrastructure of the park? How much do you think could be salvaged? The infrastructure is pretty solid. No cracks in the cement. Buildings were in better condition a couple years ago, but most can still be used. Six Flags gutted and cleaned most of them out in 2008. There is one by the main gate that needs to be demolished, and another on the original main street that has developed roof issues in the past two years. Almost all, if not all, of the flat rides will go. The ride pads will be re-used for new attractions, saving us money. 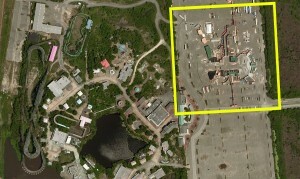 Above is one of the latest maps of the proposed park. To see what the numbers represent, click here. The two Vekoma coasters are salvageable. However, there is a boomerang in Baton Rouge, so we will sell that one instead of restoring. Vekoma has looked at the hurricane model (known as Jester at Six Flags New Orleans) for us and has suggested changing the chain lift to a launch, and putting regenerative brakes in. The hurricane and boomerang use the same train, so we have 3. From the existing 3 trains, we should be able to salvage enough steel under-bodies and wheel spindles to build two new trains. Steel is expensive, so being able to salvage this will help the overall budget. MegaZeph can also be salvaged. It’s restoration cost will be about a third of what it would cost to build new. 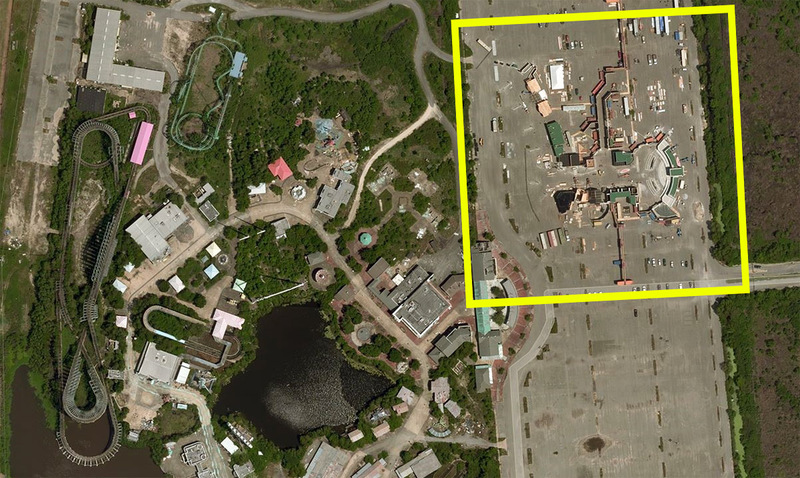 C101: Have you had any contact with Six Flags officials or have they cut all ties with the remnants of the park? They only leased the park. 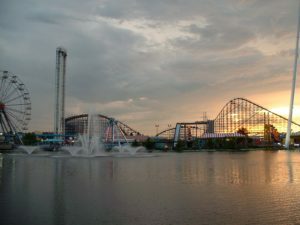 Their leases for the New Orleans park and Kentucky Kingdom were both terminated at the same time during their 2009 bankruptcy. 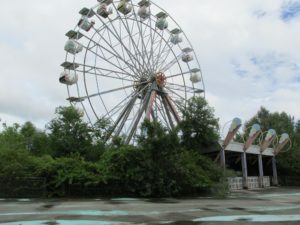 C101: Do you think the park’s “second life” as a film set has helped or hurt the reopen Jazzland movement? Both. The former mayor would have let it sit with or without the filming. The film lease money was really inconsequential, but having that minimum activity probably kept some complaints at bay, which let things drag out and hurt the process. That money has been used to pay for security for the last two years. The last major film to use the site was Deepwater Horizon, which filmed in summer of 2015. Being able to afford that cost also made the board that owns the property a little more patient than they would have been otherwise, so again, it hurt the process. 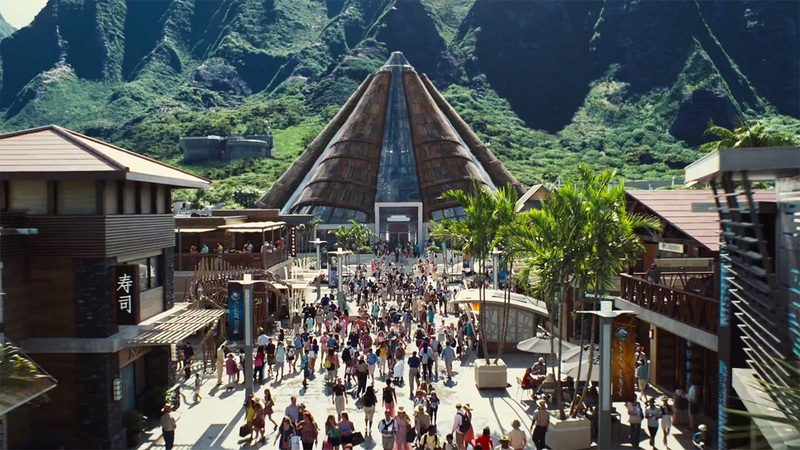 The park’s parking lot was used to build a massive Jurassic World set. However, the film companies did provide security while they were there, and their lease money has paid for the security, which has probably reduced vandalism to some extent. Still, the delays have let everything deteriorate, raising our estimated costs for construction. Last year’s hurricanes, while elsewhere, also affected us as the costs of building materials has gone up as a result. Some of the steel, PVC and copper prices have stabilized, but they are still higher than they were a year ago. 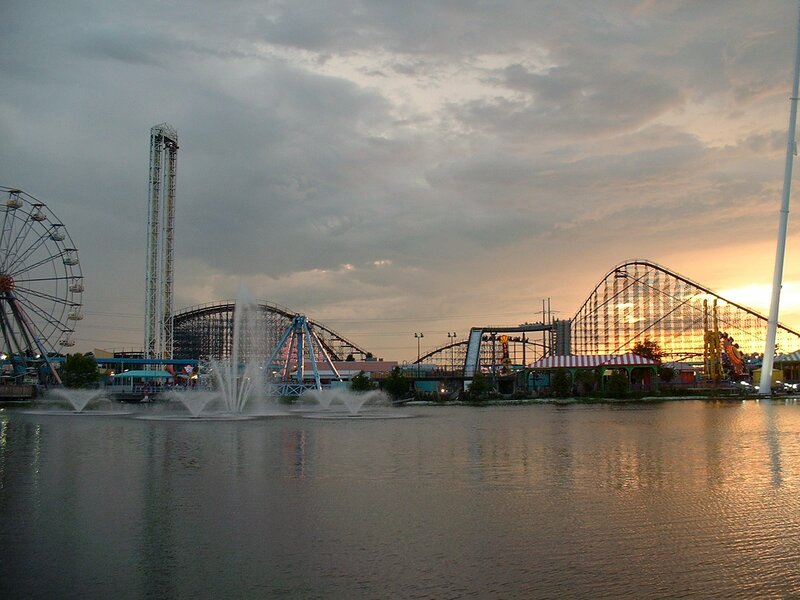 C101: What benefits do you think a theme park such as Jazzland would provide the community? Reducing blight, job creation, economic impact to surrounding businesses, raising property values, new tax revenues for the city that could help fix a multitude of problems. The list really goes on and on. 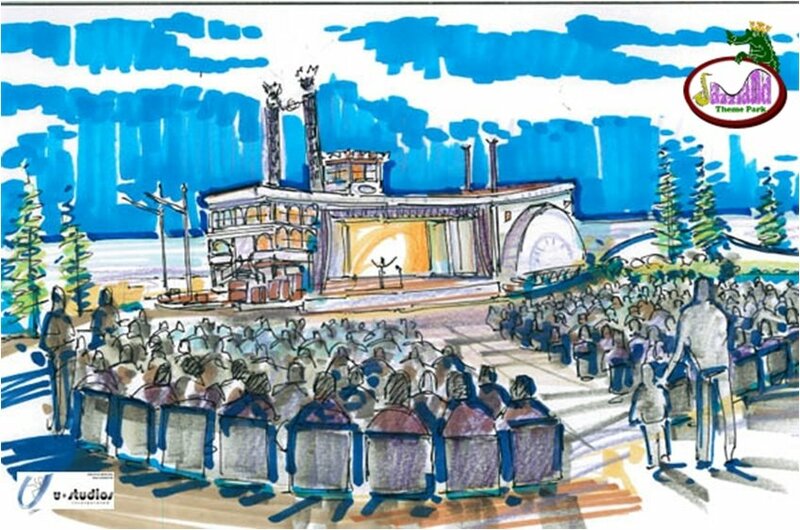 With Jazzland specifically, we already have our nonprofit arm, the Jazzland Foundation, that will have art, music and cultural education programs — as well as to create educational outreach programs highlighting the various careers that can inspire kids. C101: What is your favorite memory of Jazzland or Six Flags New Orleans? What about your favorite ride? I probably should not admit this, but I never went to the park when it operated. When it was Jazzland, I wanted to but just didn’t make it. Once it became Six Flags, just was not very interested. Bad experience at Astroworld in the late 90s (though I did think the Ultra Twister was pretty wicked at the time) put them at the bottom of my personal list of places to go. 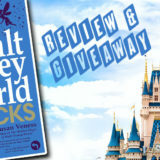 Plus, I’ve always been a theme park fan much more than an amusement park one. I mean, I love my coasters and thrill rides, but it’s the experience itself that really pushes them up to higher levels. 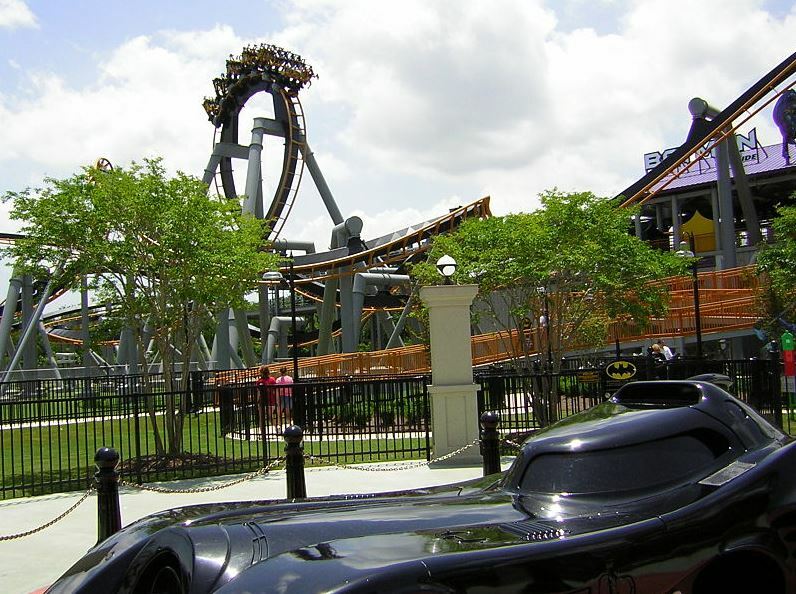 Take Tower of Terror versus Dr. Doom versus any drop tower at a Six Flags park. To me personally, a basic drop tower is boring. Dr. Doom is a little better because of the story build up in queue and boarding, but after that first drop — which, yes, is fun — you’re looking at Orlando and the rest of the ride is boring. Tower of Terror will always be my favorite drop ride, at least until I build the one I want at Jazzland. No guarantees that we can afford the one I want, but if we can swing it, it will be awesome. C101: What can those interested in the cause do — locally and/or nationally — to get involved? Locals can contact their city council representatives and the mayor’s office to voice their support. Nationally, continue to spread the word so that more people are aware of our project. We’ve operated at a pretty grassroots level, so appreciate all the shares, likes, and mentions. 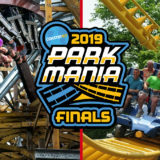 For those wishing to contribute financially, the park itself does not have a mechanism currently, although we have occasionally sold car magnets and t-shirts. 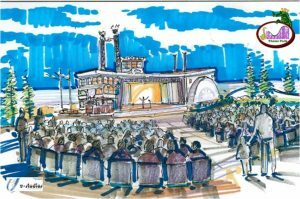 The Jazzland Foundation, however, does accept donations via PayPal and is a 501(c)(3), so donations may be tax deductible. Proceeds go towards a museum project we are currently working on in the city and restoration of the historic wax museum figures. These figures will be at the park after it opens, so helping the foundation does indirectly help the park. We’d like to thank Tonya for taking the time to speak with us. To learn more, visit the Bring Jazzland Back website. 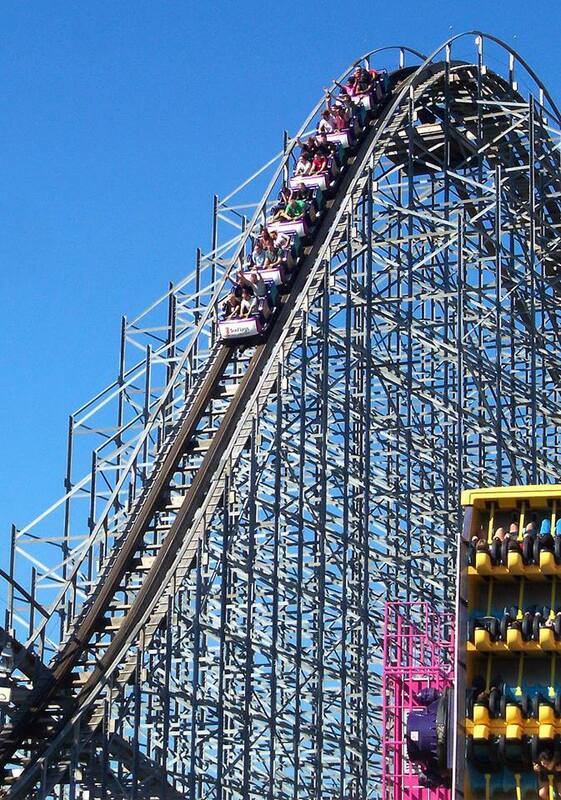 For more updates, follow Jazzland Park on Facebook and Twitter. 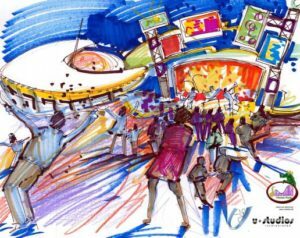 What do you think about the future of Jazzland? Share your thoughts in the comments section below. Love the post. I wish I was in the position to do the same to Geauga Lake. Fingers crossed for Jazzland, I have been watching this for a while now. 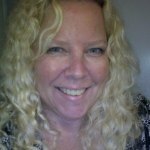 Best wishes to Tonya!